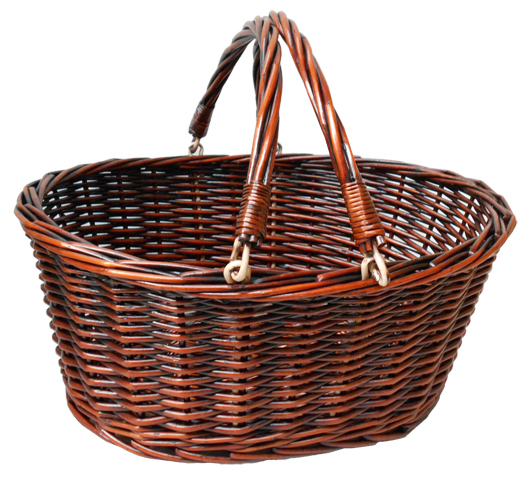 Beautiful superior quality, sturdy scuttle shaped basket with plaited top edge. Each basket has two handles - one fixed at the back, and one folding that spans the width. Perfect for displaying so many different products from fruit and vegetables to bread and rolls. Easily used as a log basket next to a fireplace and would look equally at home in a kitchen holding fruit. Approximate external measurements are 46cm x 39cm x 17cm high.